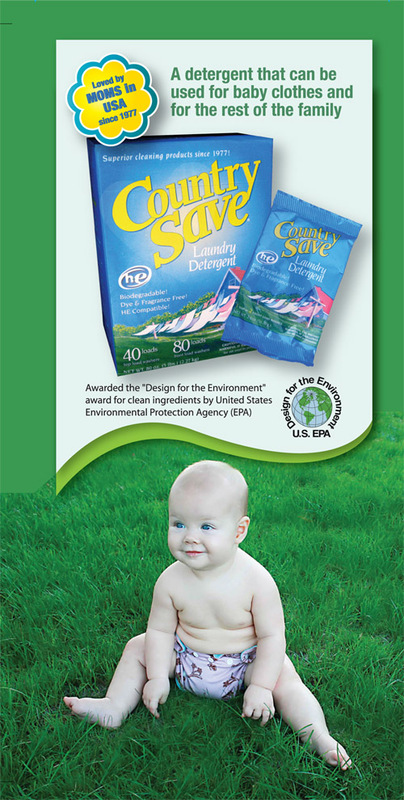 Finally, a detergent that you can use for baby clothes, for high-performance sports attire and for the rest of the family! At 2.2kg a box, the High Efficiency (HE) formulation will allow for 80 loads of laundry if you are using a front-loader (horizontal axis) washing machine. That's S$0.3725 per wash. If you take advantage of our buy-4-and-get-1-free offer, the cost drops to below S$0.30 per wash! 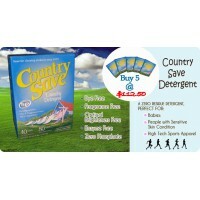 Country Save formulation contains no Enzymes, dyes, fabric softeners, perfumes or optical brighteners. 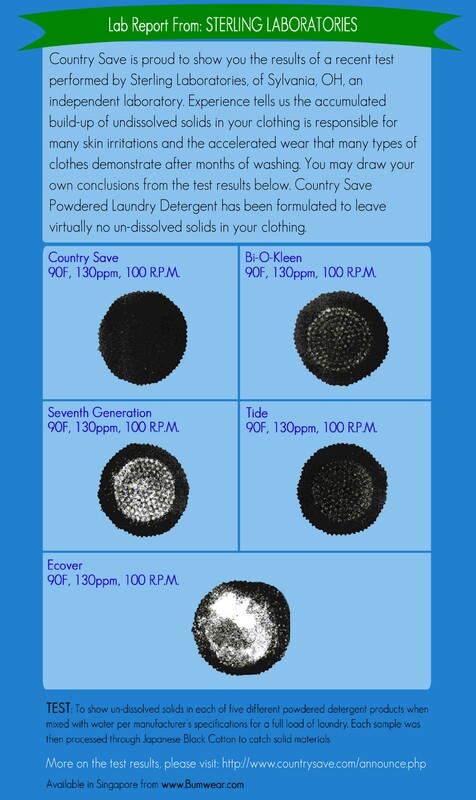 Residue comes from anything in the detergent that will not rinse out of your clothes when washed. Fragrance and brightening agents are two perfect examples. 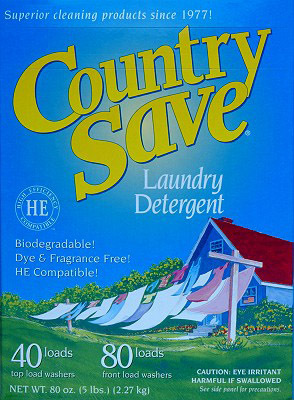 If the laundry smells like detergent, it is covered in a film of fragrance residue, likewise if your laundry glows brightly under a black light; it is covered in a film of UV (ultraviolet) brightener or brightening agent known as optical brighteners. These residues can cause severe skin irritations in many people with sensitive skin. Another common problem with residues is that they cause the fabric to stiffen when it dries. Fabric softener is then used to lubricate the fibers in order to make the fabric move freely again, however, although it takes care of the stiff fabric, it only piles more irritants on the clothing. 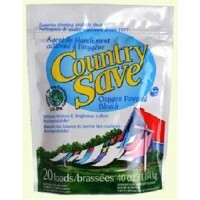 For sporting people, a low detergent residue fabric material means it can “breathe” better, and can wick sweat better. For many athletes, a high detergent residue in active wear or compression attires, makes some regions of the body react more negatively to it. This happens when perspiration contacts the residue-covered fabric, it reactivates the chemical residue and they begin to irritate the skin. This is one reason why exercise for some people, has been known to cause eczema onsets. 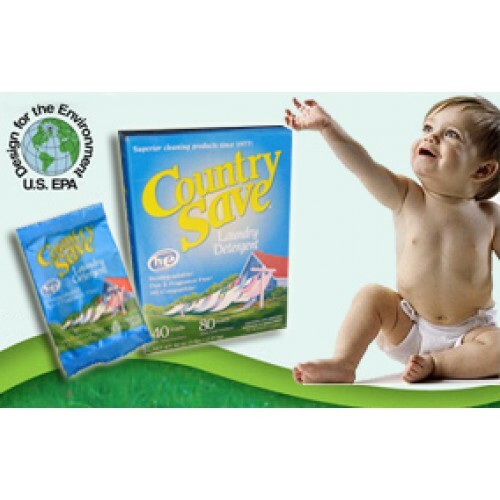 This is the same reason why Country Save is best for cloth diapers because the child's urine won't react the left any detergent residue to create an another 'solution' that can irritate the baby's sensitive and tender skin. 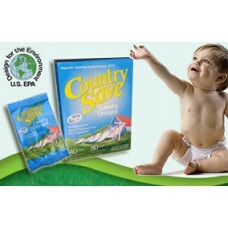 Country Save is made with a zero-phosphate formulation and becomes a true friend to our environment. Phosphates have longed been known to contribute to eutrophication of waterways. Phosphates (phosphorus with oxygen bindings) is an essential element in all living things, without which nothing would be alive. Bacteria and other micro-organisms need them in order to grow and multiply, as such, it is often regarded as THE limiting nutrient in biological life forms. Phosphorus is very reactive and is easily combined with other elements to usually become a nitrogenous compound. They are easily taken in by bacteria and other micro-organisms; the more PO4 there is the more bacteria and other organisms there will be. While this 'productivity' isn't entirely a bad thing in an open system such as the oceans, it matters when it concerns waterways and reservoirs that are 'closed' systems, where waters are recycled for reuse or in places where there is a thriving habitat for animals. Phosphates in waste detergent water affluent will lead to a rapid increase of plant bacteria, which in excessive amounts make waterways and reservoirs starved of oxygen, causing water animals to die, this in turns contributes to further pollution of water bodies. Phosphates in waterways are commonly taken up by Phytoplankton, tiny plant microorganisms, and algae. When massive amounts of algae are present, waterways can become contaminated with toxins that algae produce, which causes a host of ecological and human health problems including undesirable water quality, poor taste, and odors in drinking water. In countries, where water is recycled, like in Singapore, these issues should be taken seriously considering that we recycle our water - the more phosphates there are, the more costly the recycling process becomes. Phosphates compounds, a common and inexpensive ingredient found in many detergents, are now banned in many states in the USA, in many European countries, and in Australia from 2014 onwards. Phosphates compounds are often insoluble and the residue leftovers are easily filtered out, as detergent residue on clothing. These are the same residue that causes the fabric to stiffen when dried. For some people, it can cause an itch, and the item to smell bad real quick, when it comes in contact with perspiration – bacteria action may result.